Nashville gets most of its acclaim from country music and professional sports teams, but this city is full of experimental flavors and culinary creations that cannot be found anywhere else. Visitors may come for a Predators hockey game or a concert at the historic Ryman Auditorium, but many will stay for the carefully crafted cocktails and meals that make up the vibrant and evolving culture of Music City. The next time you need a weekend getaway, consider spending 48 hours eating your way through Nashville. 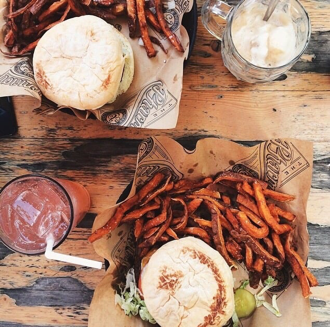 The Pharmacy’s black bean burgers served with sweet potato fries and handcrafted sodas for two. The Pharmacy, located in East Nashville, is a perfect first stop to experience Nashville’s best burgers and brews. 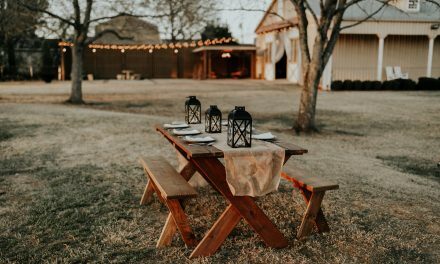 Grab a seat outside in their traditional biergarten, home to everything from authentic German beers to fine California wines. The restaurant offers a range of sandwiches – from black bean to bratwurst – and your first bite will show you why this place was deemed “Best New Restaurant” by Nashville Scene magazine in 2012. 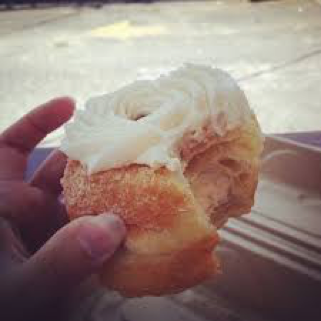 This vegan vanilla donut from Five Daughters Bakery is 100-layer heaven. 12 South is the perfect place to spend a Saturday morning perusing through shops and enjoying the autumn weather with the locals. Perk up for the day at one of Food & Wine magazine’s “Top Eight Phenomenal Coffeehouses to get Your Wine Fix.” It may be too early for a glass of wine, but stop by Frothy Monkey for their signature white monkey mocha and then head across the street to Five Daughters Bakery for a selection of irresistible donuts made with local, wholesome ingredients. Try their famous 100 Layer Donut if you dare. This platter from Bartaco is both taste bud and wallet-friendly, leaving plenty of room in the budget for their famous margaritas. All it takes is one step inside Bartaco, and one is immediately transported to a chic surfer’s haven with freshly-made margaritas and masses of chunky guacamole. 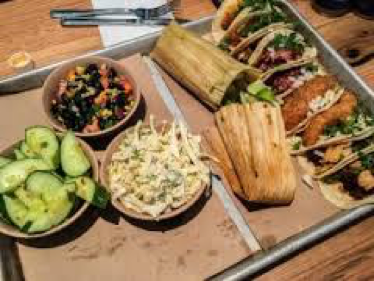 Come see why Buzzfeed ranked this restaurant as home to one of the best tacos in America by ordering a family-style platter that serves tacos, tamales, and your choice of three sides to have the full Bartaco experience. Broadway Street is the heart of downtown, lined with honky tonks galore. 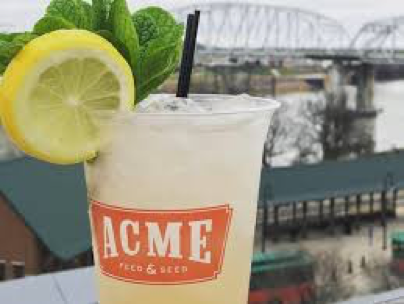 You’ll find Acme Feed & Seed at the end of the street, a hip bar and restaurant with an unbeatable rooftop view. Stop by for happy hour to scour their extensive list of beer, wine and cocktails with a Southern twist. Acme also offers a loaded menu of sushi, gourmet comfort food and vegetarian fare that will make you feel right at home before you take the stage and karaoke to your favorite country hits. 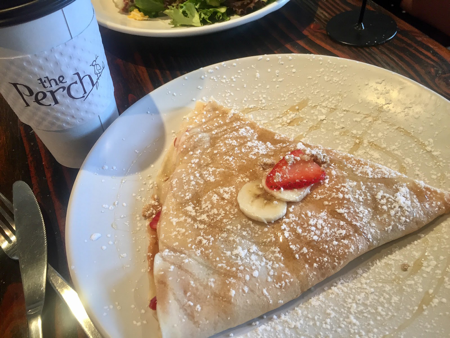 The Perch’s banana, peanut butter and granola crepe is always served warm and best with added strawberries. This cozy cafe will lure you in with the sights and smells of made-to-order crepes and omelettes even if you didn’t feel like getting out of bed this morning. The Perch’s menu spans the spectrum, from sweet nutella and strawberry crepes to savory Portuguese ham and cheese muffins. Everyone who drops in for a lazy morning can get what they are craving. The cafe also offers indulgent specialty lattes, like Dulce de Leche and Best Chocolate Bar Ever, that will energize you for the journey home. Pickles and white bread help eaters handle the heat of this nationally renowned chicken. While you may now be a seasoned veteran of Nashville cuisine, you haven’t fully earned your stripes until you’ve tasted the city’s famous hot chicken. 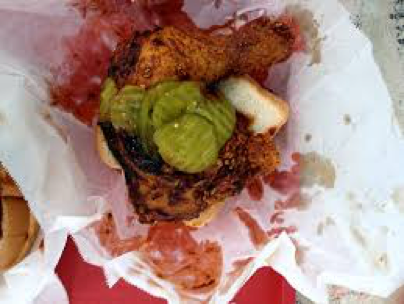 Prince’s is home to the original Nashville hot chicken and was recognized at the James Beard American Classic. What this spot lacks in aesthetic, it makes up for in flavor and spice, with chicken ranging from plain to triple hot. It’s the perfect way to close out a delicious weekend in Nashville, Tennessee.